Yeah unhealthy. That's because the relatively new tendency of little .380 ACP pocket semi auto handguns to send concealed carry permit holders into bouts of heavy breathing. It's one of the worst obsessions over a type of firearm in decades. Statistically, tiny pocket guns are a size of semi auto pistol most likely to malfunction. That's referring to those guns firing center fire cartridges, most commonly now .380 ACP. What most people don't realize is that cartridges are not developed for existing guns. Guns are designed after cartridges have been developed. In that order. While pocket semi auto pistols produced by major manufacturers are a relatively new craze in firearms carry, the .380 is not a new cartridge. It was designed by John Browning and introduced in 1908. The round was developed for early blow back firearm systems that had no locking breech. As time went on, and firearms advanced it became a widely used round. By the time WWII rolled around, the .380 was a commonly carried personal firearm by the German military, though it was not a battlefield gun. The famous Walther PPK is one of the best known .380 models, still popular today. 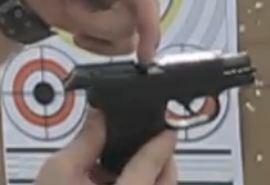 Other firearms manufacturers like Bersa turned the round into a popular modern self defense round by designing guns that could handle the center fire round. What made the Walther and Bersa popular was that and the ability to easily carry the guns concealed. And they were comfortably controllable for accuracy. That's when gun design took a turn for the worse. Kel Tec came out with the P3AT and it became an instant hit. Not because it worked so well. Because people could hold it between their thumb and finger and stick it in their jeans pockets. Problem was about 50% of the guns came from the factory with serious operational problems. Failures to extract, feed, stovepipes, etc. were rampant with the guns. Added to that, the guns were extraordinarily hard to work, control and shoot accurately. Not exactly great self defense tools. To their credit, Kel Tec's customer service was second to none and when guns were returned to them they built a reputation of satisfaction fixing problems. Lots of major manufacturers began turning out the tiny handguns. Ruger being the most notable soon after Kel Tec became famous. Ruger's now wildly popular LCP looked like, shot like and felt like the Kel Tec. They were greatly criticized for copying Kel Tec's most notable design. However, Ruger did improve considerably on the dependability issues of the guns. Then a recall. But all told, they produced a more solid and dependable pocket gun. Just as hard to access, control and shoot, but more dependable. Then everybody got on board. Almost every major handgun manufacturer now makes a pocket model .380 ACP. All hard to access, control, shoot. And while there are plenty that work great, there are plenty that experience the problems of the Kel Tec. These are not guns made by inexperienced manufacturers. In fact they are being made about as well as they can be at this point. In other words manufacturing limits have been reached on gun sizes that the .380 was never intended for. The guns are a roll of the dice as far as dependability. They are the worst choice for anything other than arm length self defense. These are some of the guns being manufactured today. 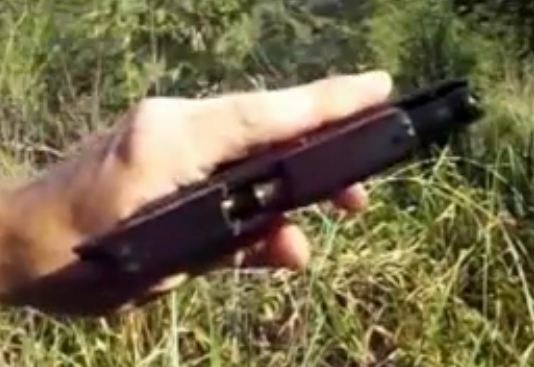 NOTE: While there are lots of instances of other types of guns malfunctioning, the problems below are the subject of this article and typical of this style and size of gun. The pictures are from various experienced gun owners/shooters using the guns under different conditions. Below are pictures of a Kel Tec P3AT experiencing typical multiple failures to extract or eject. 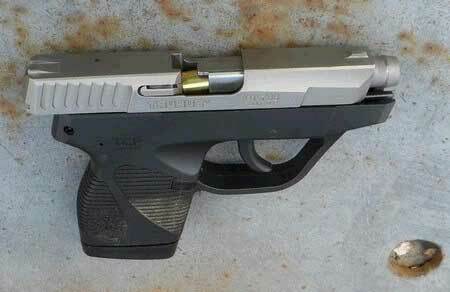 A Sig Sauer .380 pocket pistol with jammed action. This is my Taurus PT738. It has been returned once to Taurus for extractor problems. They replaced the extractor and returned it. It still fails to extract any type of ammo about 50% of the rounds fired. 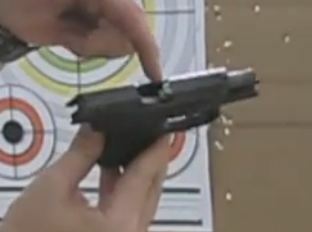 This is a Ruger LCP with a common failure of the action resulting in a jammed up shell case. Multiple times with this gun. A Smith and Wesson Bodyguard .380 with slide/breech lock failure. Gun returned. Again, while lots of these guns work fine, lots of them don't. And for guns that are being developed specifically for self defense, the difficulty controlling and the statistical level of failure across all models doesn't add up to much most people should salivate over. The disservice to new gun owners. The worst of the worst of all this is that so many first time gun owners are being steered toward these questionable products for their first self defense weapon. Before they even learn to shoot correctly they are having these difficult, painful and undependable weapons shoved in their hands with glowing praise. That's about the worst disservice anybody could do to a new shooter/gun owner. 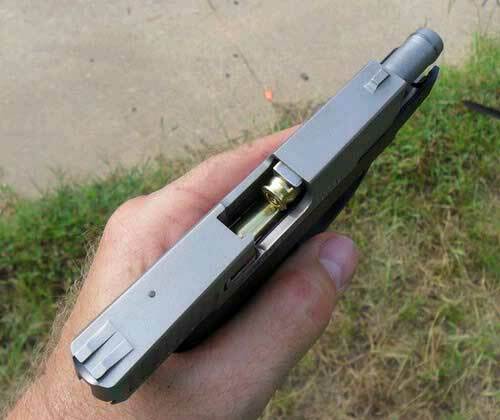 The pocket semi auto pistol. A good concept as far as being concealable. For very experienced shooters who understand the last resort value of one of these guns, it may be a helpful weapon. But for most people, they are the worst choice for a concealed carry gun. 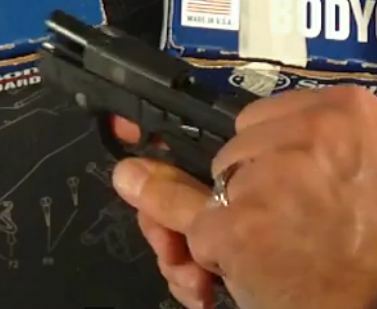 There are small, easily concealable guns that can be gripped, controlled and with practice shot accurately with a little space between them and an attacker. With practice they can be a good carry gun that gives the owner a fighting chance if something life threatening goes down. 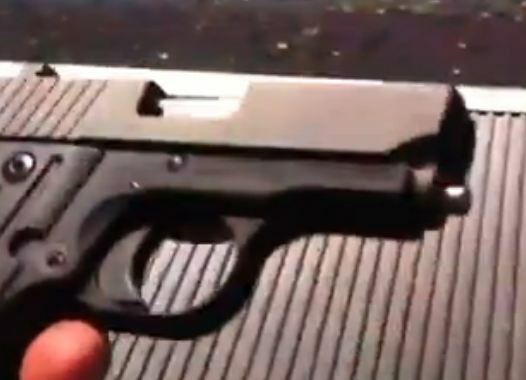 The best choice for a pocket semi-auto pistol is to leave it in the display case.